Neelix is attacked by mysterious aliens who steals his lungs. The Doctor manages a makeshift cure, but it may be worse than the problem. The crew races to find the thieves, but once they are found, the reason for their crime is something the crew could never have imagined. Voyager investigates a destroyed world, when Janeway and Paris are whisked back in time - to one day before the disaster that destroyed it. Voyager encounters a spatial anomaly with a ship apparently trapped in it. Moving to lend a hand, they discover the ship trapped is themselves, and every attempt they make to leave leads them back to the singularity. 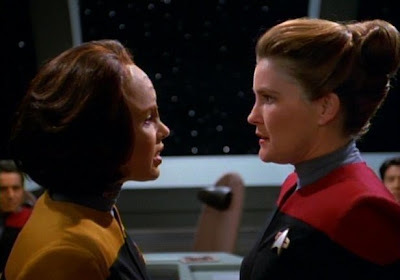 Meanwhile, Janeway much choose a new Chief Engineer, and she must manage more than the usual personnel problems when Chakotay recommends B'Elanna Torres for the job. Though she certainly has the engineering skills, there remains the question of how her colleagues would accept her in that role, especially given she just broke one of their noses. I'll make you chief engineer, but only on one condition. Tell me where you got your hair done. While on a mission to capture a Maquis vessel and crew, USS Voyager finds itself whisked away by a strange alien force to the other side of the galaxy. 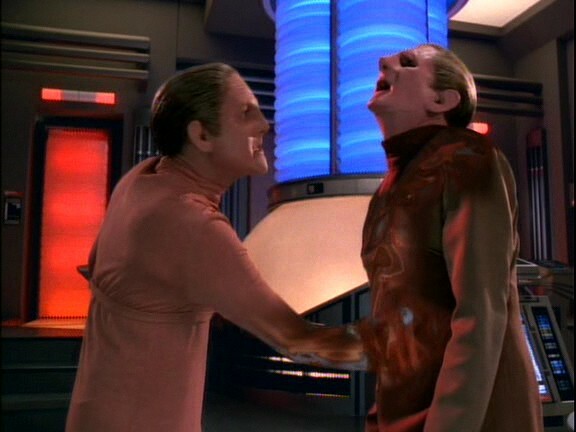 Once there, the Starfleet and Maquis crews form an uneasy alliance. They must navigate a tricky path between dangerous adversaries, internal tensions, and the prospect that they might never return home. Poor, warm, sensual Stadi. We hardly knew ye. 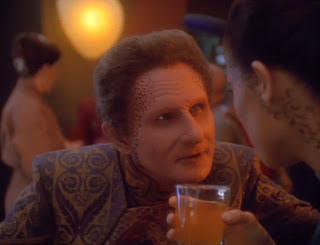 DS9 lurched into Season 3 with one promising story thread on the horizon - the Dominion. Luckily, instead of going the way of TNG and focusing on characters instead (not a criticism of TNG per se, see below), DS9 actually began to deliver on this promise about halfway through the season. The podcast for The Adversary is now online. Enjoy. Sisko and crew are called upon to investigate a coup on the Tzenkethi government, but soon discover that they have been set up by the Founders and that their ship has been turned into a careening harbinger of doom for the fragile peace between their two peoples. Does it hurt when I do... THIS? 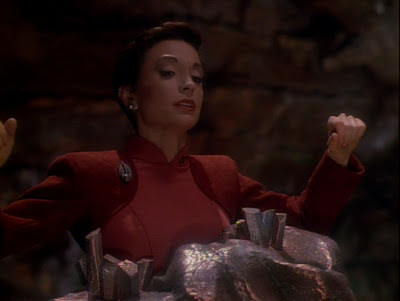 Jadzia Dax undergoes a traditional Trill rite, in which her symbiont's past hosts are embodied by her friends. What could possibly go wrong? Oh, right, something has to go wrong, or else there's no episode. I'm alive again! First order of business: find some Tang. 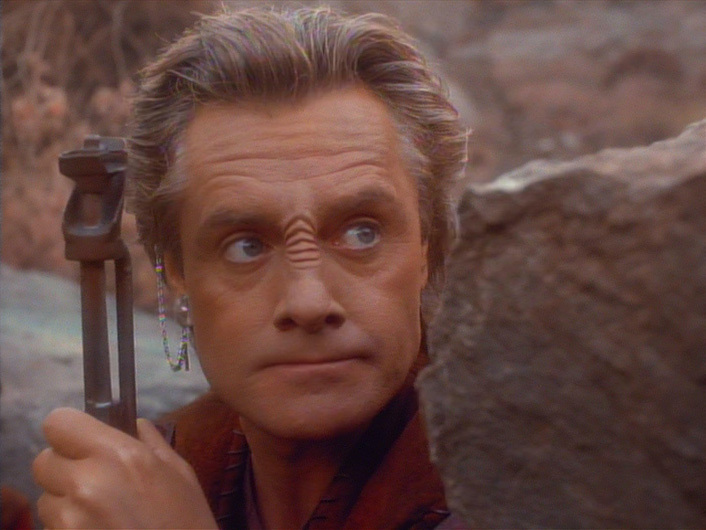 The First Minister of Bajor dies suddenly, and the person appointed to take his place is Kai Winn. 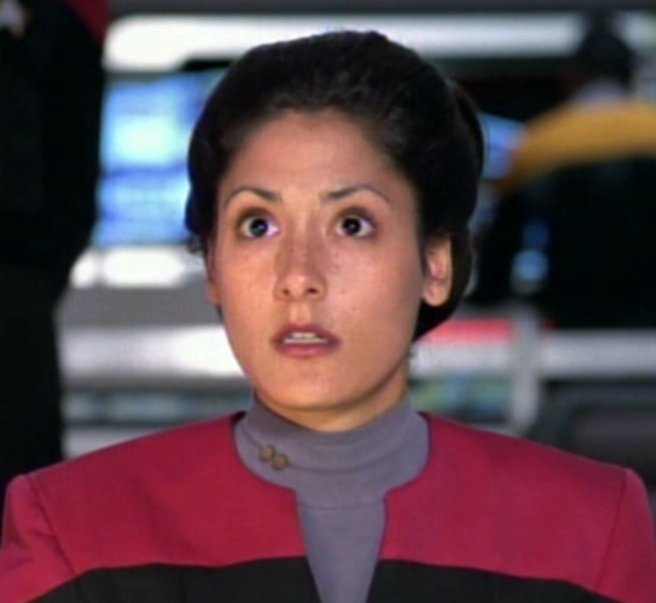 Kira is not happy about this, but she is even more displeased when the Kai comes to the station asking her to intervene in a dispute with a group of Bajoran farmers headed by Shakaar, Kira's friend and the man who lead her resistance cell. And there's some darts, too. 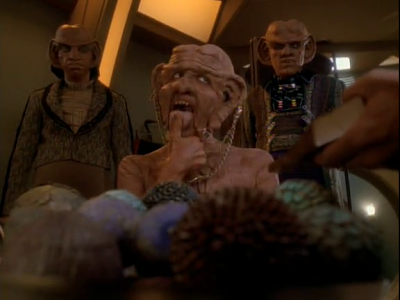 Quark and Rom are called back to Ferenginar when their mother's under the table financial dealings come to light. Meanwhile, Commander Sisko meets someone he'll become quite close to in the years to come. 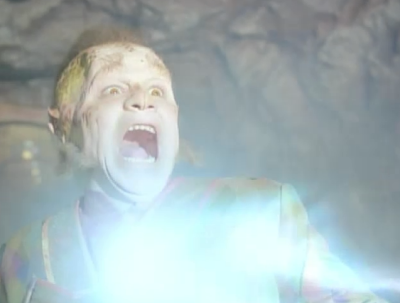 Usually, a scene like this is a clear-cut indication of a bad episode. Usually, but not always.